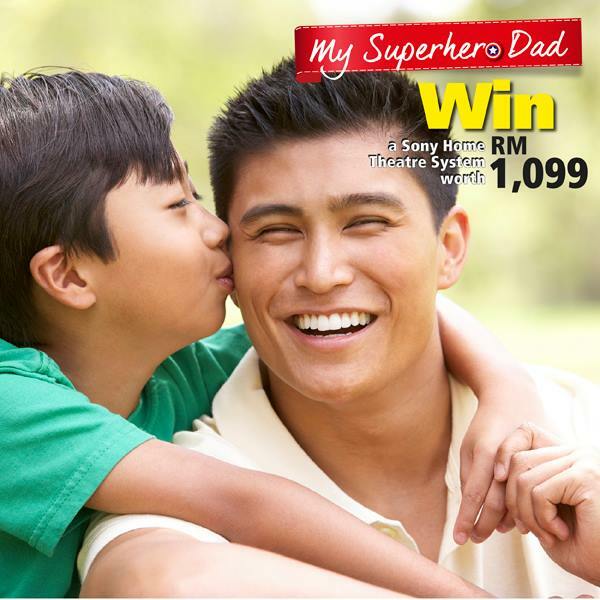 Tell Harvey Norman Malaysia what Superhero would your Dad be … and win a Sony Home Theatre System to enjoy good movie time with your Dad this June! Step 1: ‘LIKE’ Harvey Norman Malaysia and tune-in for more contest updates. Step 2: ‘SHARE’ “Super Hero Dad” contest posts to friends. Step 3: ‘COMMENT’ and tell Harvey Norman Malaysia: If Dad were a Super Hero, he would be … and stand a chance to win a SONY Home Theatre System worth RM1,099! Find out more on how to Win a SONY Home Theatre System worth RM1,099 at Harvey Norman Malaysia.